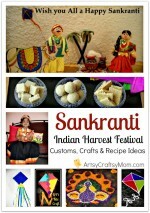 With Sankranti right around the corner, wouldn’t be fun to make some Edible Kite cookies? With that in mind, we decided to let our imagination soar. 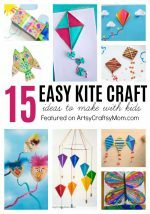 We made paper kites last year that were a BIG hit! and the kids loved it. 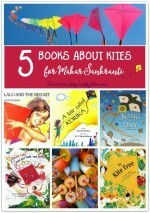 This year we decided to make our kites and eat them too! Yum Yum! Miss P can’t stop giggling about it. 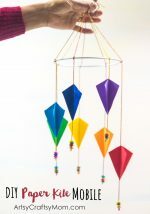 These edible kites are really easy to make and lots of fun for the kids to eat on Sankranti along with all the traditional sweets and its ready in 5 mins. Wilton Cake Icing in Red, Yellow, Blue. We used Choco Chip cookies from a ready pack and laid two down on a white plate. You can use a different cookie, line them horizontally or vertically. Next we used the ready tubes of sugar icing by Wilton to line the kites. If you don’t have these, you can buy icing from a cake shop & pipe them with the thinnest nozzle you can find. You can substitute the icing with colored candy, or even noodles dyed with food coloring. 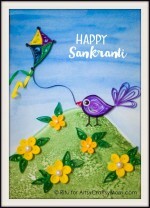 Now add the heart sprinkles along the kite’s tail and using Blue icing, pipe some clouds and we even drew the Sun. You can have fun with this step. And just like that, our edible kite cookies were ready. Miss P kept eating the sprinkles but isn’t that the best part of doing (making) stuff with our kids? She is growing up so fast, it’s scary. As a working mom, I did my best to plan for memorable moments with Miss P. I would think of a craft to make with her on my way back from office, or a story to read to her. Stolen moments. Feeling guilty to be away from her the whole day. Thinking of the perfect activities, to create and capture the perfect photo opportunity. Phew! it was exhausting. Now I let her lead the way. Life is going to happen, regardless of our best-laid plans. And the most magical of moments are rarely the ones we have scheduled. What do you think of our Edible Kite cookies? 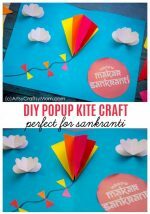 Isn’t this such a simple, clever and fun dessert for kids? Don’t forget to let us know.